Firstline Locksmith and our locksmith services are your first line of defense in securing your home and your family. Working with residential customers for over two decades has provided us with the experience to know what our customers need. Offering fast response times, convenient service options, knowledgeable professionals, and locksmith services at a fair price are our highest priorities. We work around your schedule. Same-day locksmith service, emergency locksmith service, and night and weekend appointments are available at no extra charge. We understand that we are working in your home to protect what is valuable to you and we want to earn your confidence and trust. We continually educate our locksmiths at our training facility to ensure that they are knowledgeable on the latest industry trends. We hold our employees to the highest standards, hiring only those that are equally as passionate and driven as us. At Firstline Locksmith, we price our locksmithing products and services fairly. Our locksmiths will never try to sell you on products you don’t need. If a simple door lock rekey or repair is possible, we will not try to sell you new locks and if picking the lock is possible, we will not drill your lock. Honesty and fairness are at the core of our values as locksmiths and community members. As a full-service professional locksmith business with over 25 years of experience, we are current on the latest advances and trends in locksmithing, all while integrating time-tested and dependable technology. Solving customer problems and adding value with our expertise is what drives us. We set ourselves apart by the quality of the relationship we create and the trust we build with our customers. We bring more than a quick fix to your problems. 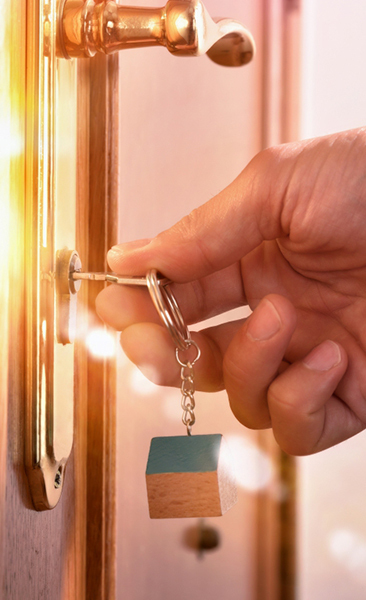 We offer locksmith services with a personable, warm, and welcoming attitude. With thousands of reviews, we are consistently listed as a top locksmith service provider with third-party evaluators such as HomeAdvisor, and we have earned the Better Business Bureau’s A+ rating. Our goal is to keep your home secure so that you have peace of mind knowing that your family is protected. For more information about our residential locksmith services, or to schedule your appointment, contact us today. We look forward to giving you the peace of mind that only comes from knowing your home security is in the right hands. Tip: Before hiring any NJ locksmith, ask them for a license number and verify the license with The State of NJ Department of Law & Public Safety, Division of Consumer Affairs. Be safe! We are proud members of ALOA (Associated Locksmiths of America), SAVTA (Safe & Vault Technicians Association), and SOPL (The Society of Professional Locksmiths). "Excellent!!! In a rush to get our granddaughter to her first day of summer camp, my husband and I left without our house keys. If that wasn't enough of a problem..we had to be at the car dealer in an hour to pick up a car we purchased over the weekend. We explained our situation and they were here in 20 minutes!!! They knew we needed to get in and could have racked up any charges they wanted...we would have had to pay. But they didn't. They were fast and efficient and charged us under $100 bucks!! Firstline Locksmith...you are now in my contacts!!"